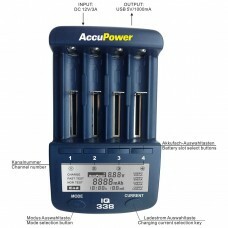 With the new AccuPower IQ338 charge or test most round cell batteries. Automatic selection of NiMH/NiCd or Li-ion chemistry cells. 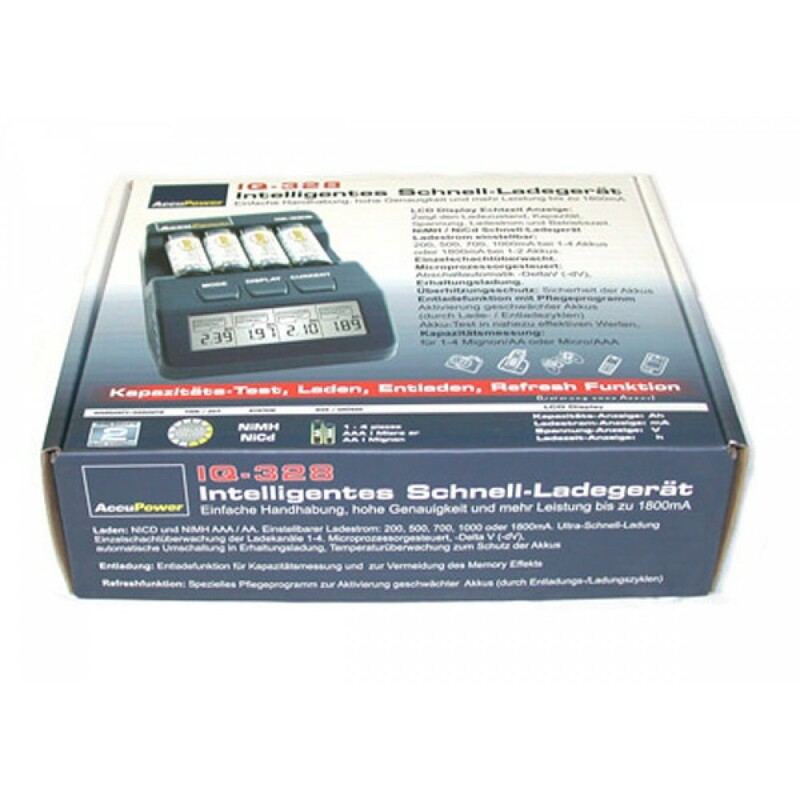 Includes the most common 18650 cells, can accept cells up to 70mm in length. Easy to use, easy to program, informative display. NiMH/NiCd: A, AA, AAA, sub-C, C-baby size. * Four indepentent channels programmed individually. 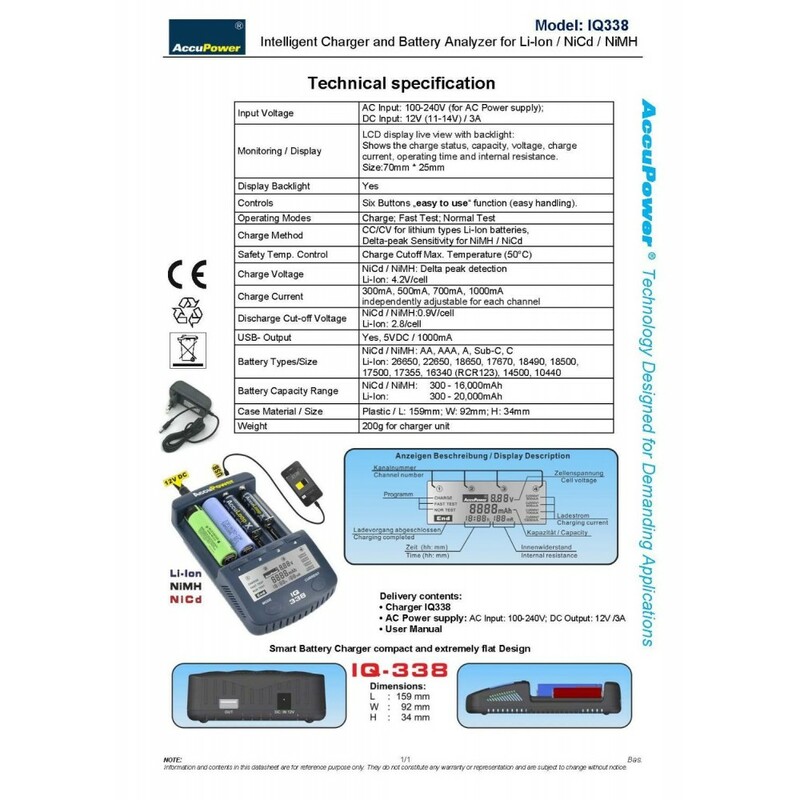 * Digitally displays battery information. * Adjustable charging rate from 300 to 1000 mA. * Delta Peak full charge detection for NiMH/NiCd cells. * 4.2V full charge for Li-ion cells. CC/CV charge profile. 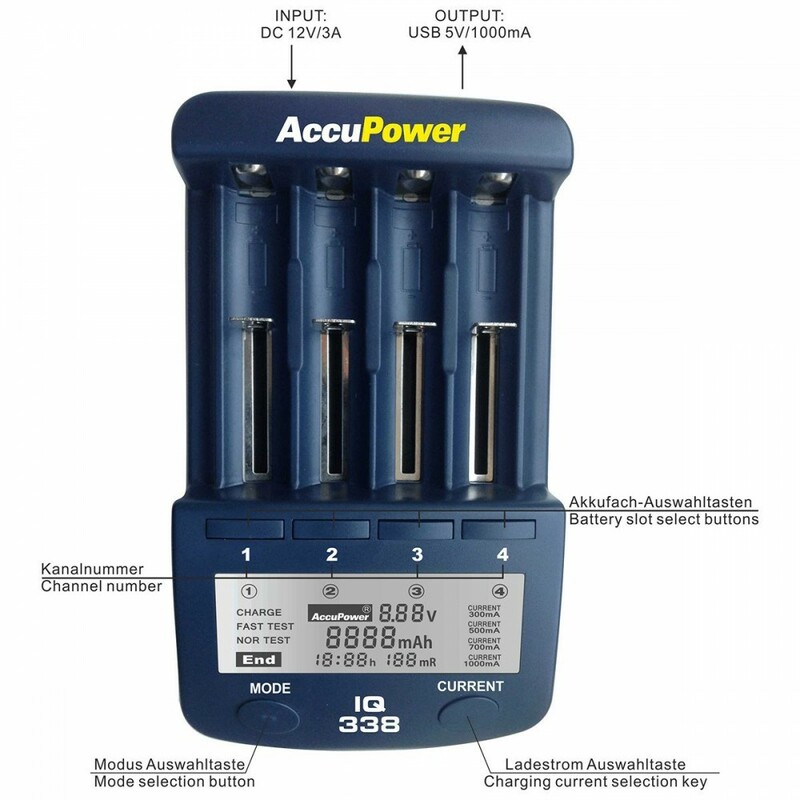 * Automatic detection of different battery type. 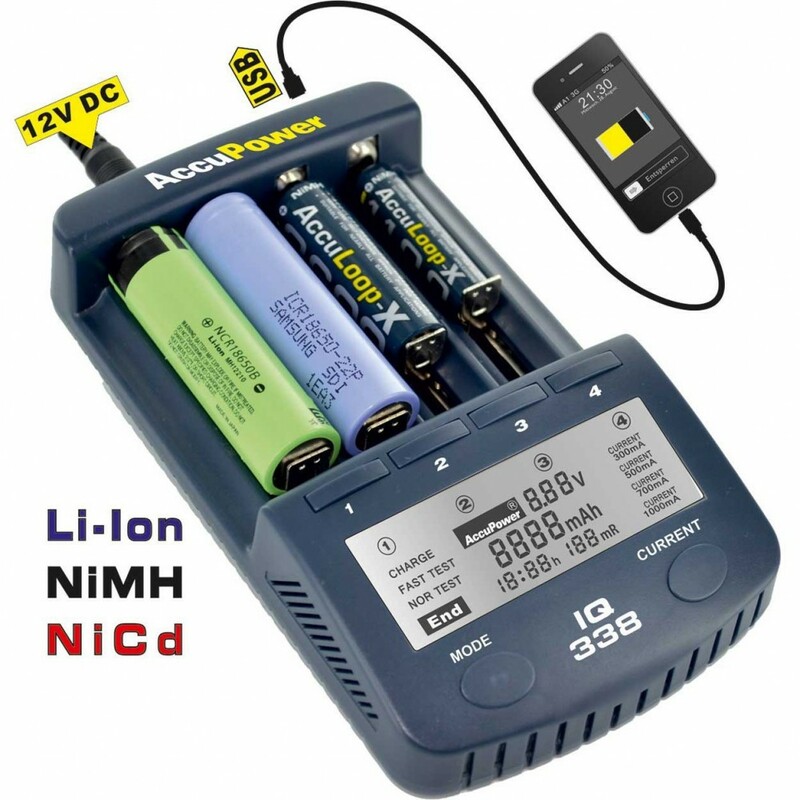 NiMH/NiCd Vs Li-ion. * Thermal sensors to protect against overheat and overcharge. * USB charging socket. Supplies 5V 1000 mA.